I’m relatively new to the world of modern mechanical keyboards. I note “modern” as I am well versed in the feel and use of early IBM, Amiga and Commodore keyboards of various types! I’ve been watching the modern keyboard market with interest though, with the various switch manufacturers offering various options depending on how you wish your board to feel, sound and look. Today I will be looking at one of the more recent offerings, Drevo’s Tyrfing V2, a tenkey-less board with what on the surface seems to be a solid construction, and RGB “goodness”. 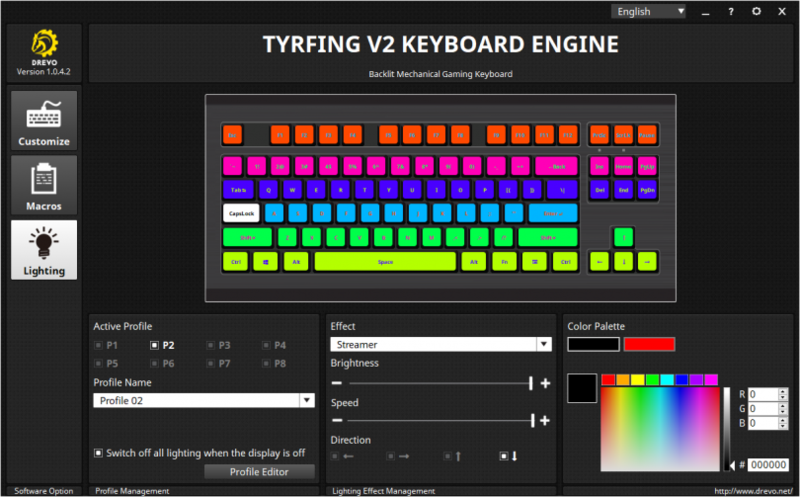 Retailing on Amazon.com for US$59.99 plus shipping, and the same on their official webstore, ArmYourDesk.com, the Tyrfing V2 is one of the cheapest offerings in the RGB mechanical keyboard market, offering the various (brown, black, red, and blue) Outemu switches, apparently similar in feel to their Cherry MX competitors, after which the colour naming scheme was formed. 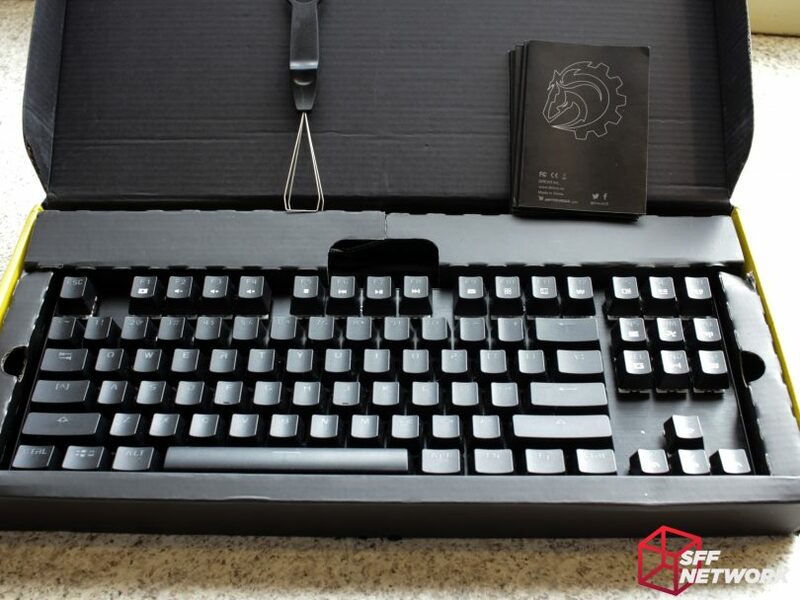 When Drevo approached SFF Network to send us this review unit, I specified “Brown” switches as my preference – it’s been what I’ve found to be the most comfortable as a typist after testing tens to hundreds of different keyboards in shops and at shows. Let’s put this keyboard to the test and write a few thousand words! Included Keyboard, keycap puller, sticker, multi-language manual. The Drevo Tyrfing V2 comes in a bold black and yellow box, which would stand out amongst the red-based GAM3R styled products on retail shelves at present. Ignore the damage to the box – I damaged the box myself when moving equipment to somewhere with power. The photos in this article were taken during a 72 hour powercut at my usual abode! I ended up working offsite at a family member’s home, hence the poorer image quality. On the side of the box, the language/layout of the board, as well as the colour and switch type are denoted. As mentioned above, I went for the “brown” keyswitches. Also, due to my location in New Zealand, the USA keyboard layout was chosen. To the right of these denotations, a quick overview of the RGB LED modes are given, with somewhat effective symbolism of the modes. On the rear, a more in depth overview of the board is given. 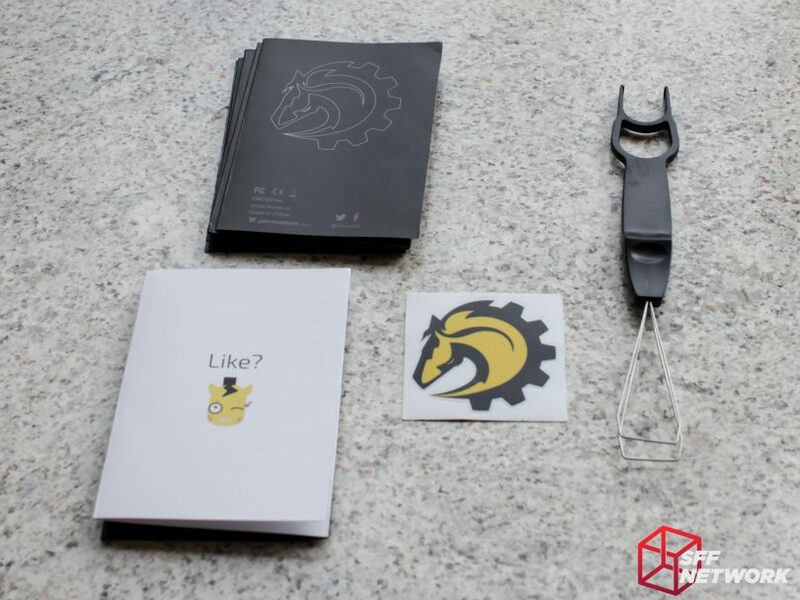 In the box is a small selection of handy inclusions, being a user manual, a feedback booklet, a Drevo sticker and a key puller tool. All in all, a well designed package. As mentioned earlier, ignore the state of the box, that’s my bad! The Drevo Tyrfing V2 is a well proportioned unit, with no extraneous protrusions for status LEDs. The keyboard is a tenkeyless format, also known as 80%. In our never ending search for a more compact system, moving to such a keyboard format may lead to a more compact feeling desktop. Well, this is an RGB keyboard, it would be amiss to not show the RGB-ness in full effect. Unfortunately, the LEDs are not RGBW, a point I will get into a bit later. The underside of the keyboard shows us a few well thought-out features. Rubberised folding legs is by far the standout feature here – leading to less transmitted vibration into your desk, as well as turning the Tyrfing V2 into a keyboard that won’t wander around on a smooth desk – very much a positive. Secondly, the sleeved cable – which feels to be high quality, adding a premium feel – has a cable guide with three cutouts. Desk cable management score +1! The Oetemu Brown switches are literally brown – taking a page out of Cherry’s playbook. Sitting just above the switch actuator is a tiny RGB LED, lending the glow to the switch body, as well as glowing through Drevo’s double-shot key caps. After removing the 11(!) 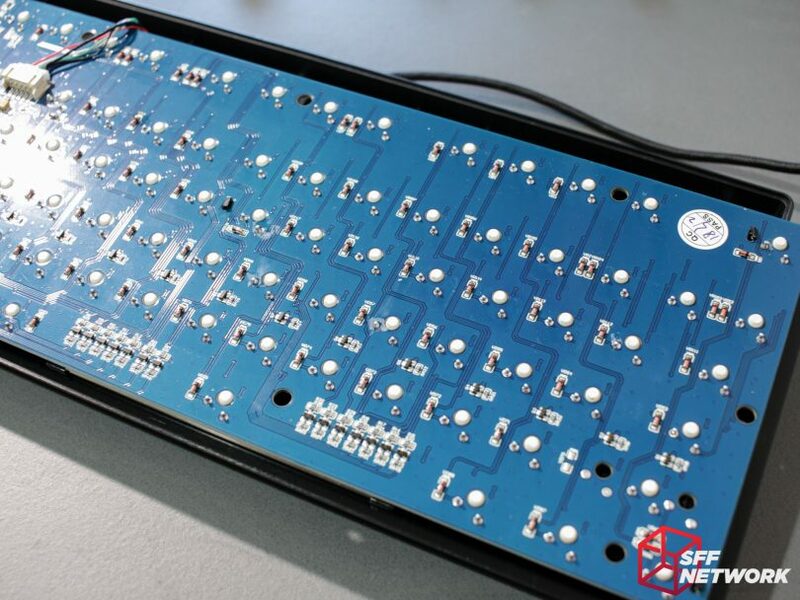 screws to take the base off the Tyrfing V2, we are greeted with a vast expanse of a solid PCB. 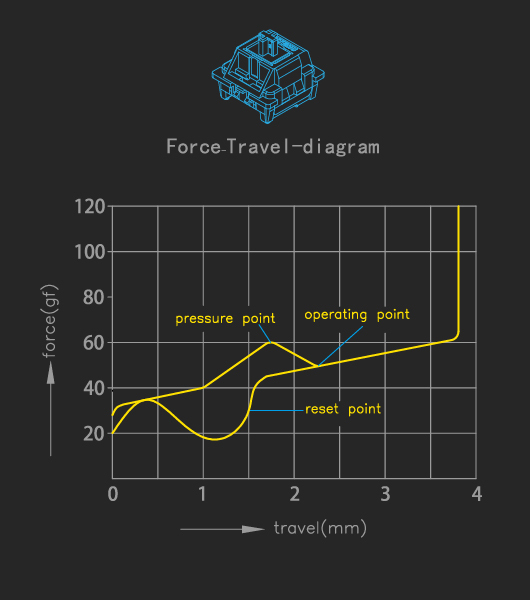 The layout of traces seems excellent, with no “bodge wires” or other hackery. Great work here! The soldering also appears top notch, with only minor residual flux, and no bad joints that I could find. Fantastic – the cable is replaceable. Too often we see peripherals with soldered on cables – meaning an extra skillset is needed to replace the cable that one’s cat chewed off. 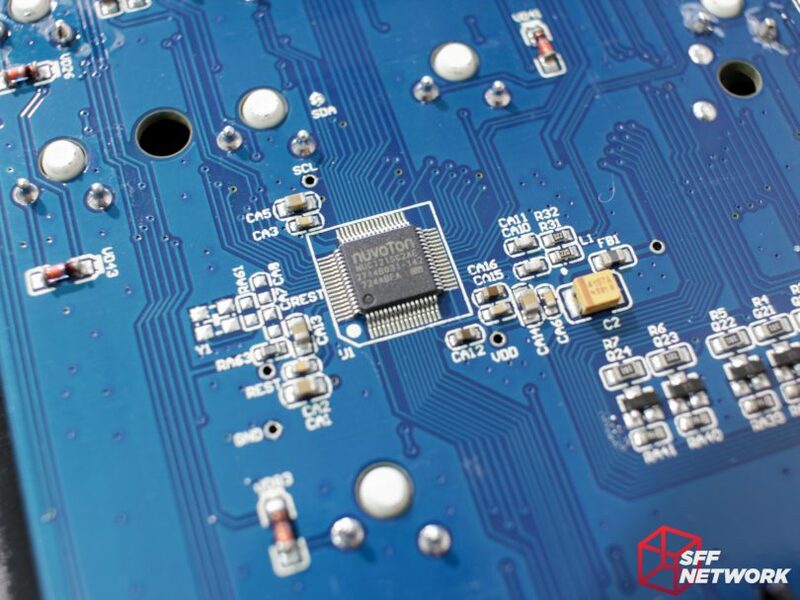 The brains of the operation is a Nuvoton NUC121SC2AE, a 32-bit ARM Cortex based microcontroller. I guess the 88 individually addressable RGB LEDs need something a bit more than a basic chip to control! And this is as far as I can take the teardown without getting the soldering iron out. The keyswitch bodies are clipped into the top metal panel, then soldered onto the PCB. Drevo bucks the curve and goes with a different OEM than most for their switches, namely Outemu. 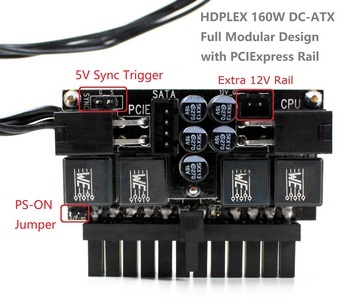 They offer similar switches to Cherry MX, albeit, as it seems, at a lower price. 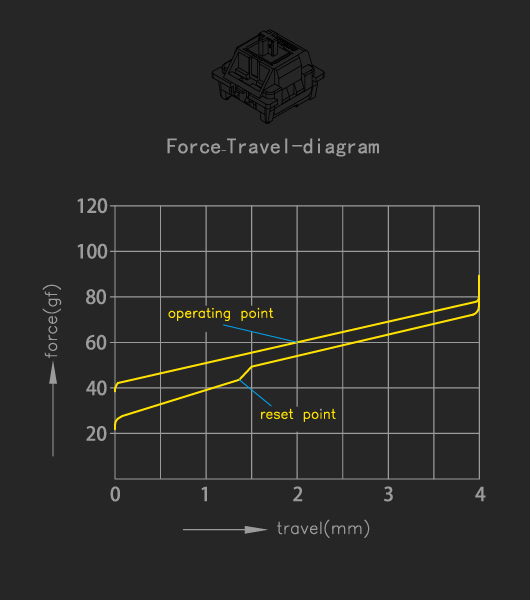 If you do decide on a Drevo Tyrfing V2 board, or another product using the Outemu switches, the below may be handy! I do suggest trying the different switches in a retail shop or in a show before committing – everyone’s taste in switches will differ, based on what they know and are comfortable with, or their particular typing style. Various tech publications have reported the Oetemu switches being slightly different to their counterparts by other brands – with many preferring the Oetemu switches! I personally have yet to form a preference. The particular switches that I selected were the “brown” switches – a nice middle point between the various options. Clicky but not too noisy, and a medium force required to activate. 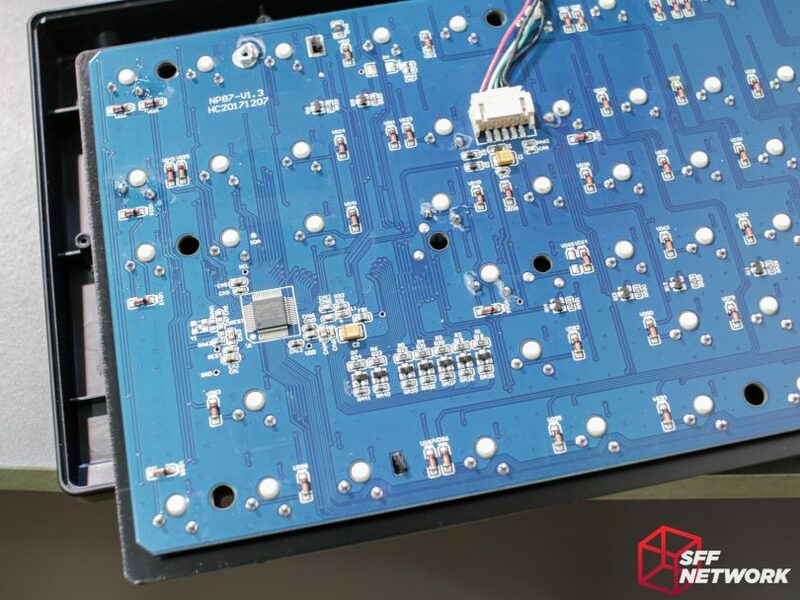 To facilitate the RGB aspect of the keyboard, a singular RGB LED is embedded into the switch itself, just above the actuator. 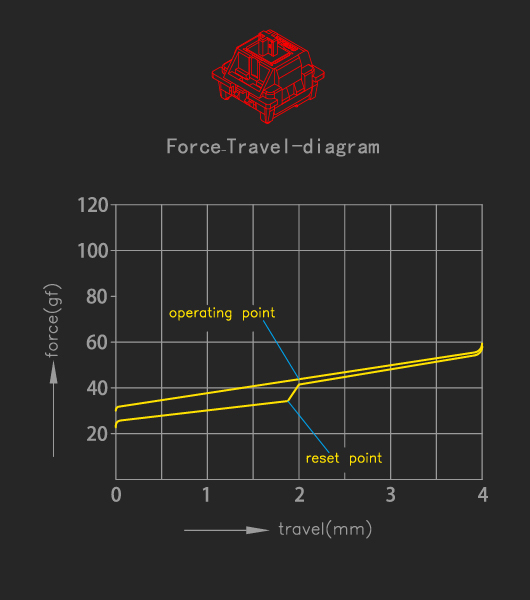 The RGB is relatively accurate when used in conjunction with the Tryfing V2’s software package, available from the Drevo website. The white is rather blue, the yellow has a distinct green tinge to it, but compared to other RGB solutions I’ve seen recently, it isn’t bad. Speaking of RGB, there are two ways to set this up – via key combinations, or via the software package. Let’s look at the software-less solution first. Instead of a second Windows key, the keyboard features a Fn, or function key. When held down and another key is pressed, various media keys, as well as RGB functionality can be accessed. When holding the Fn key, the appropriate keys light up “white”, a handy feature, assuming your standard colour for the keys RGB isn’t set to white as well! As mentioned above, most of these are pretty gimmicky, stuff that no normal person would use every day (I hope!). To get the most out of the RGB system, installation of the software package is needed, unfortunately. The software package is available from Drevo’s website, and is customised for each model keyboard they sell – much better than generic software that promises features that your unit may not have. First up in the software is the ability to assign singular tasks to keys – such as opening an app. You can save up to 8 profiles – useful for power users. 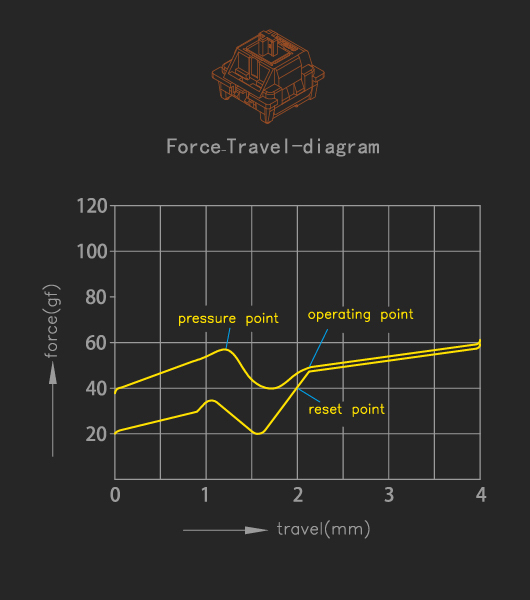 Secondly, macros, a tool for efficient users, or gamers. Delays, keypresses, mouse clicks can be used in macros, however they are not context sensitive, so you can’t use the macros to press a particular button in an app, for example. Finally, the RGB. All the above keyboard embedded modes are available, with more customisation options, including a full colour mixer. One thing to note though – the LEDs are RGB, not RGBW. I found that a pure white colour selection resulted in a very odd blue tinge – a side effect of using colour blending to create colours. As a note, this entire review was typed on the Drevo Tyrfing V2 keyboard, to ensure I had a full feel of how the board performed compared to my regular keyboard, a Lenovo/IBM 5220 board. Moving from that board to the “tenkeyless” Tryfing V2 was a learning curve, but it’s a sacrifice I’m willing to make for you, dear reader. Overall, the greatest thoughts I have on the Tyrfing V2 is that the key layout is a little more narrow than regular boards, leading to a few mis-types. However, I believe with a custom keycap set this could be solved – the rectangular format of the tops of the Drevo keys do need getting used to, whilst the overall form factor of the keys appear to be the regular size. The double shot keys glow clearly with the RGB backlights, and prevent your keys becoming blanks after years of use – unlike traditional printed keys. 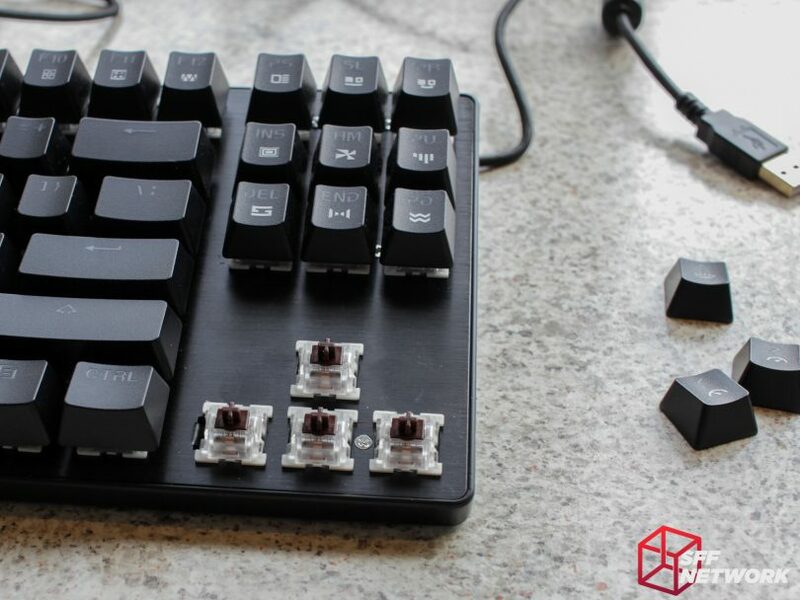 The key caps themselves are formed from ABS plastic, a relatively robust polymer that should hold up to the rigours of gamers and typists alike. Editor’s note: Double shot ABS keycaps aren’t a fix-all solution though – eventually the matte texture turns glossy according to how much the key has been used. PBT keycaps would offer a long lasting matte texture but the caps alone would probably cost as much as this keyboard is selling for. What is very noticeable in testing is that the keys sit higher than the keyboards that I am used to – which seems to be a trend with modern mechanical keyboards. Inclusion of a seperate palm rest (because resting your wrists while typing leads to wrist extension, which gets uncomfortable after a while!) would go a long way to add the extra touch at little cost. From my personal experience, the Oetemu Brown switches match relatively closely to the Cherry MX Browns, with one difference – they are louder in actuation. This, however, may be a result of the solid construction of the keyboard resonating the keypress somewhat. Speaking of resonating, I did find my particular review unit had a minor “pinging” during typing – as if the entire keyboard chassis is a spring. However, I did not find this to be particularly loud or distracting. This was a mixed bag, not because of of the board itself, but because of the tenkey-less design. The Drevo Tyrfing V2 performed admirably, with no keys missed during fast action gameplay, or long term strain when playing Minecraft for hours on end. 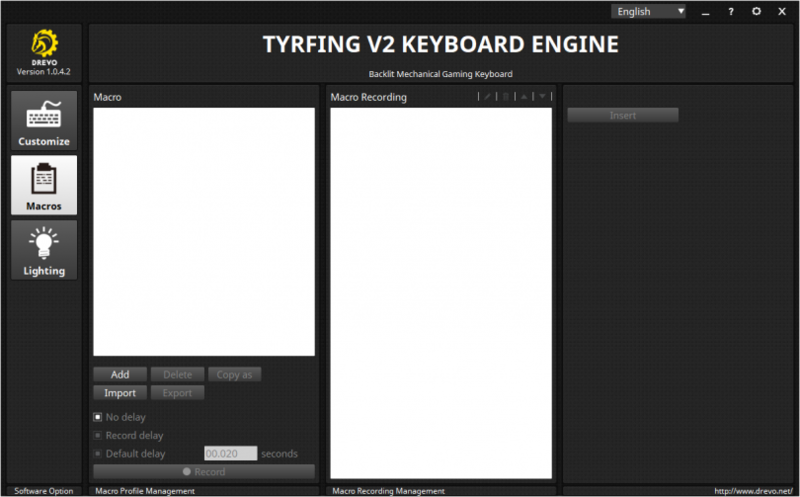 As a gaming keyboard, assuming you don’t need the Numpad, the Tyrfing V2 is a good bet. From my time with the Drevo Tyrfing V2, I have come to appreciate that not only the name brands can produce quality peripherals. Drevo has shown that with careful design decisions, a quality product can be had for a lower price. There are many, many mechanical keyboards on Amazon.com and other e-tailers, some of which sit in the same price range. As of late, it’s been easy for brands to just rebadge an OEM design and market it as their own, something that Drevo has not done here – it seems Drevo is unique in this particular design. Only the Redragon K552 Kumara (a very amusing name for us NZers!) 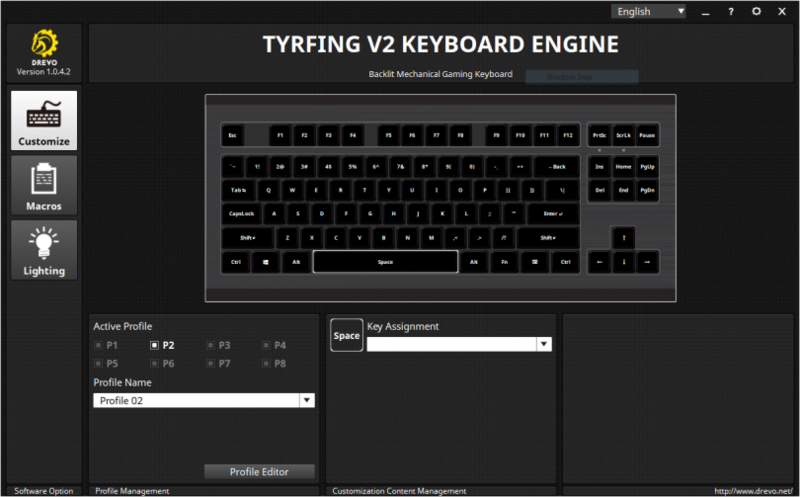 matching the Tyrfing V2 in layout, albeit with the some design differences. I commend Drevo for spending the time to create their own product in what is a very crowded market of clones. A great way to stand out! The build quality of this US$60 keyboard is impressive, with the 750 gram mass exuding a feel of robustness and longevity. In the time spent with this board, I have grown to like it more than most of the higher dollar keyboards I have tried during many retail shop visits and trade show attendances. If you’re in the market for a mechanical keyboard of this format, I highly recommend putting the Drevo Tyrfing V2 on your short list. This review sample was provided by Drevo.